Simmons Fabricators Ltd. is a 40,000 square feet fabrication facility on 4 acres of land. 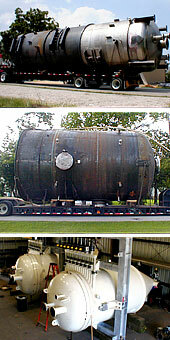 We have been located in Pasadena, Texas since 1966, supplying specialized steel & alloy items for over 40 years. Over 40 years experience providing quality workmanship to our customers by ensuring that the finished product meets both A.S.M.E. codes and the customer's fabrication requirements. Simmons Fabricators hold the "U" stamp and the "R" stamp. 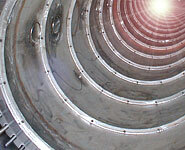 We do ASME code vessels and repair to them we have built up to 14'6" x 100 feet long. We have shipped weight up to 100,000 pounds. We are located near the Houston Ship Channel & have excellent rail and highway access.